He was saying obviously, that he was not a fake...he lived his life the way he described it: REAL and recognizing his mortality. Let's all do that. 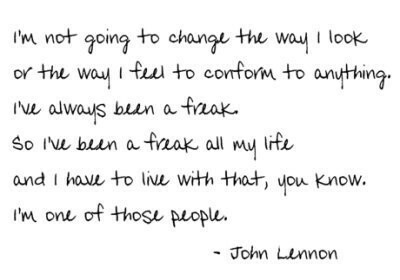 Let's all be freaks!